Drought conditions in California continue to escalate, prompting the state water board to implement emergency conservation regulations. Effective July 29, 2014, anyone found violating the mandate will be fined. Because the drought is so severe, it’s more important than ever to be careful with our water usage. So many of us in California have beautiful gardens and yards, and with water conservation on the top of everyone’s minds, it might seem more difficult to maintain our outdoor spaces. However, by following some guidelines, we can still keep our yards looking nice and healthy. To learn more about water conservation and yard maintenance, we turned to the landscape pros at Armstrong Garden Centers for water-saving tips. How to Use Less Water? 1. Water early before 8AM. Stop your sprinklers by 8AM to reduce evaporation and the likelihood of water waste caused by wind. Watering early in the morning also reduces plant disease. This is because leaves and grass have time to dry during the day, decreasing the risk of fungal diseases that thrive in moist conditions. 2. Make sure to mulch. Place a 2-3” layer of organic mulch on the soil around plants and you could save hundreds of gallons of water every year. Mulching allows water to be absorb into the topsoil layer more effectively and keeps the soil from drying so the soil stays moist longer. A layer of mulch such as wood chips, sawdust or even straw can cut water evaporation by as much as 75 percent. 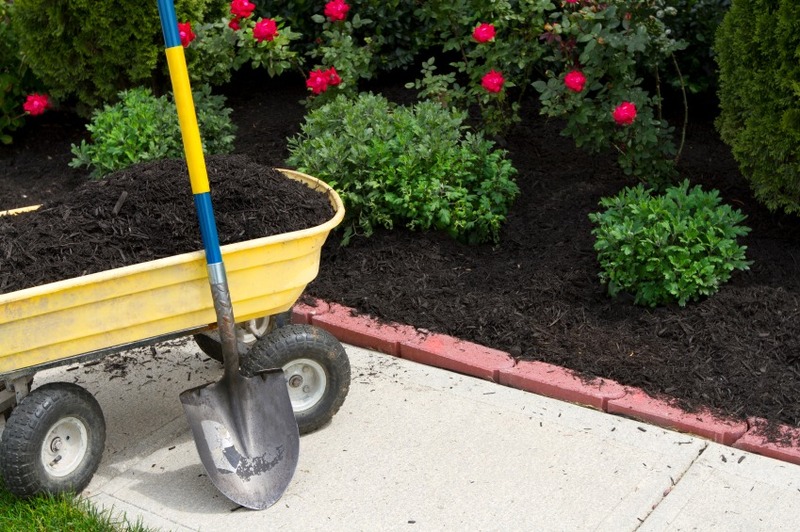 Before you mulch, aerate your soil to make it easier for water to penetrate. 3. Repair and adjust sprinklers. Fix broken or damaged sprinklers immediately and check pipes for leaks. This simple act can save as much as 500 gallons of water per year. Check in-ground sprinkler systems for leaky valves and heads. If you have dry spots, put portable sprinklers in the area or readjust sprinklers so they reach the dry spots. Keep drip irrigation systems running efficiently and check for leaks, cracked pipes, or plugged emitters. Keep an eye out spray that turns into mist, which indicates your water pressure is too high. 4. Water deeper, but less often. Eric tells us that most gardens in California that use automatic sprinklers are overwatered. Homeowners should change sprinkler systems to water every other day or every third day, while increasing watering times by 50-75%. Be sure to consult your local municipality for appropriate watering guidelines, first. 5. Change watering times according to the seasons. Adjust automatic watering systems at least three times a year, according to the season. When you know it’s going to rain, turn automatic systems completely off. If you have an automatic sprinkler system, attach a rain sensor or moisture sensor shutoff device. 6. Use trigger sprayers when hand watering. Trigger sprayers ensure that water is not wasted while watering gardens. As you probably might guess, using a hose without a nozzle is an inefficient way to water because it delivers water much more quickly than the landscape can absorb it. 7. Use water-retentive potting soils. Minimize water loss in plants by potting container gardens with water-retentive potting soils. 8. Compost your soil. Add compost to planting beds and pots to decrease the amount of water needed. 9. Use organic fertilizers. Organic fertilizers slowly release nutrients into the soil at a natural rate that matches a plant’s needs, so plants need less water when fed organically. Speaking of fertilizer, heavily fertilized lawns use more water and are more susceptible to drought conditions. It’s important to apply less fertilizer to your lawn in this case. 10. Install a smart sprinkler controller. These “new” controllers dramatically reduce water use and water bills. Wireless smart controllers activate automatic sprinklers via computer-based weather data and garden needs and specifics. Using smart controllers can save over 40 gallons of water each watering. You can go beyond simple conservation methods by taking some extra steps such as grouping plants together according to their water needs, choosing to plant new plants that are drought-tolerant, and planting for shade in your garden. 1. Group plants into watering zones. Put plants that need the most water close to the house where they are more likely to absorb roof runoff. Place native plants further out because they don’t need as much water and in dry, windy, or exposed areas. Before you plant, determine patterns of shade and sun in your yard. Use dry-soil plants in sunny areas, and thirstier plants that require more water in shady areas where evaporation is less. 2. Choose native plants. Native plants are naturally adjusted to our region’s soil and climate, and require little or no watering. Some plants native to California include the California mountain lilac, island snapdragon, and coyote mint. Drought-resistant lawns include bermuda and buffalo grass. 3. Plant for shade. The shade cast by trees or well chosen structures like arbors or fences can reduce water evaporation from the soil. Shade areas with trees and large shrubs, and use trellises to provide shade or scatter light. 4. Choose the right path. Porous materials used in garden paths allow rainwater to seep into the ground. Use gravel or non-mortared concrete pavers to retain water. 5. Get rid of your lawn. If you really want to conserve water in a big way, remove your lawn and replace it with drought-tolerant native plants. 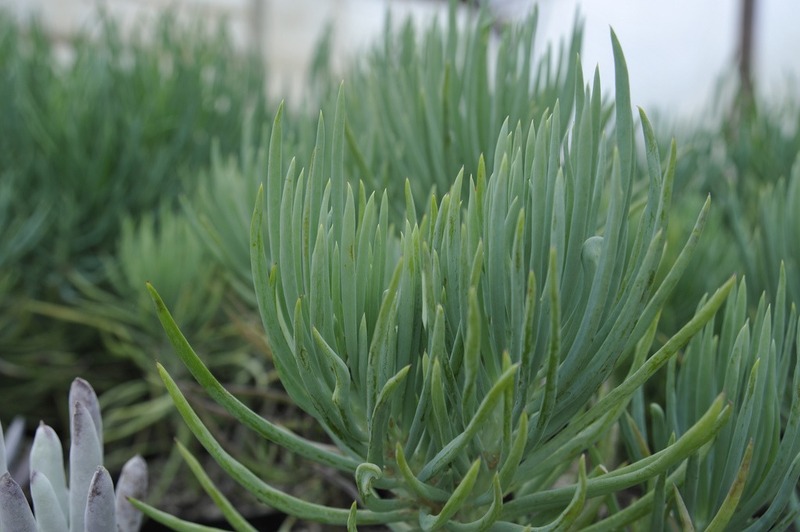 Read more about xeriscaping (plant selection and placement in like zones and reducing irrigation needs to as low as possible) in our post here. applying potable water to any driveway or sidewalk. using potable water to water outdoor landscapes in a manner that causes runoff to adjacent property, non-irrigated areas, private and public walkways, roadways, parking lots or structures. using a hose that dispenses potable water to wash a motor vehicle, unless the hose is fitted with a shut-off nozzle. using potable water in a fountain or decorative water feature, unless the water is recirculated. Recycled water is not mandated, but encouraged for fountain use. Saving water in during yard maintenance reduces your water bill and saves an increasingly scarce natural resource. What do you do to save water in your yard? Photos courtesy of Armstrong Garden Centers, and Install-it-Direct.